Firstly, Welcome to the new forum. We have used some of the money raised by our members and kindly donated by Rare Spares to purchase forum software and new hosting space from which to bring you this site. Joshua, our newest admin addition has been working his backside off to code this new forum! Well done to Josh.. I can tell you it wasnt easy! All data has been brought across from the other site, so we've retained all the vital information this time, so that is a MAJOR victory for the board! While we are now live on this site, Things arent quite finished yet! We're still working on the final new banner (A Decision was made and will be announced shortly), and you will notice a few other cosmetic changes as things progress. What we will find now are the little bug or glitches that are inevitable in a new forum as we can only do so much testing, So if you find something that doesnt work, or doesnt look right, Please PM Joshua or any of the mod/admin team with as much info as you can about the glitch and we will try and fix it! 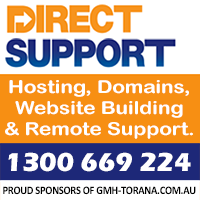 Welcome to the Best Torana forum in the WORLD!